One Sea King helicopter of Pakistani Navy crashed to the Arabian Sea on 31st August 2018. According to Pakistani Navy, the helicopter was conducting routine training operations when lost. 3 sailors were rescued and one dead were recovered. Pakistan asked Turkey to help to locate the wreck and recover the bodies of the 3 missing aircrews. 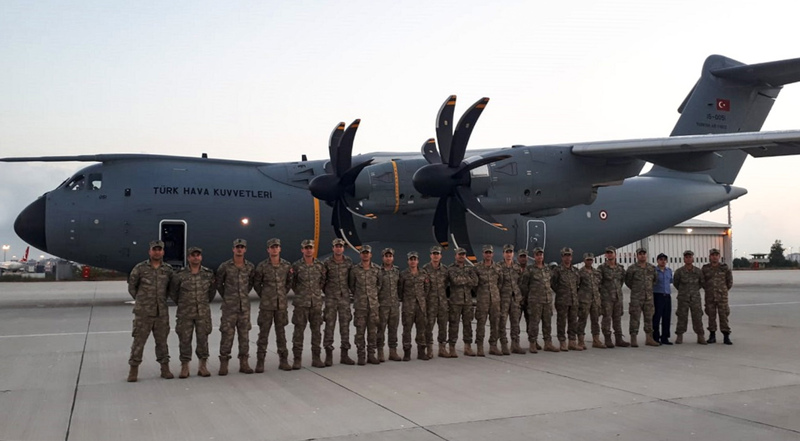 A 25 strong search and rescue team from the Turkish Navy was dispatched with an A-400M cargo plane of Turkish Airforce. Among the equipment, send are autonomous underwater vehicles.